One of our bestselling anti-ageing masks is designed to work in harmony to hit the reset button on your skin. Its one mask having infinite possibilities. 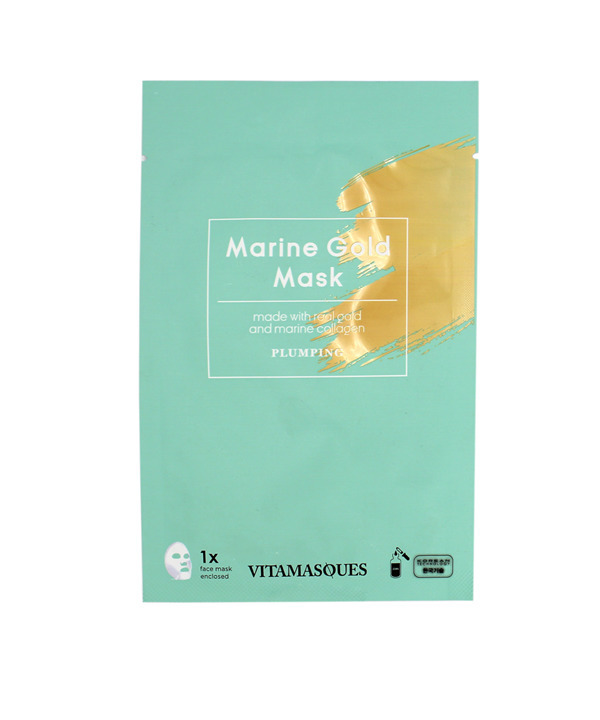 Our Marine Gold mask is a complete lifting and firming treatment created for a youthful you. Collagen in skin starts depleting from about age 21 and continues to further degrade as we grow older leading to saggy and wrinkled skin. The marine collagen in our pack, that comes exclusively from the sea, is a superior source of protein that is easily absorbed and works to reverse aging from the inside out. Marine collagen provides 8 out of the 9 essential amino acids to the skin that replenish the depleting collagen in your skin and gold reduces dryness. Together, a potent pack to restore and preserve your age defying looks. Made in Korea.